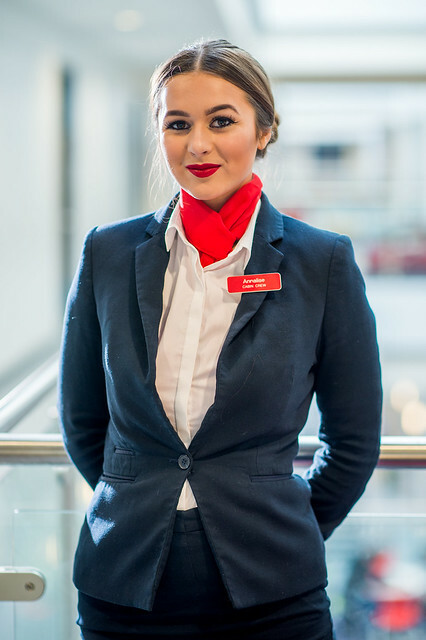 Thirteen level 2 Air Cabin Crew and Airport Operations students, will be launching their careers in the aviation industry this summer following successful completion of their course. The students have secured employment with global airlines and international airports including Jet2.com, Virgin Atlantic, British Airways, Qantas and Manchester Airport. The travel and tourism department at St Helens College boasts high student success rates, with 70% of travel and tourism students securing their career aspirations upon completion of their course. Students benefit from real, working environments including the 24-seat aircraft fuselage and baggage check-in desk, based at the Town Centre Campus. They also take part in regular trips to the Thomas Cook training centre to perform emergency evacuations, fire and smoke cabin procedures, life raft simulation and safety demonstrations. Richard Mumby, Hospitality and Tourism Lecturer at St Helens College said, "We are extremely proud of our students for what they have achieved. The travel and tourism industry has witnessed real growth lately, so it’s really rewarding to see the students secure successful careers with established airlines and airports. We wish them the best of luck for the future and look forward to what next year’s students will achieve." Due to popular demand, St Helens College now offers a level 3 Diploma in UK and Overseas Holiday Representatives which commences in September 2016. Those interested in launching a career as an overseas holiday representative, chalet or holiday park host are encouraged to apply now.